Spring is here and the coming rains need to be pumped out of the basement as fast as it enters. The reliability of a good pump is necessary. At Ace Hi Plumbing, Heating & Air, we recommend the Zoeller® model 53. This is a great product that will give you comfort during the middle of a spring rain storm as water flows to the side of your home’s foundation, then straight down into the drain tiles along the walls. The natural buffer created when the soil absorbs the water will not be there, so your sump pump system will be put to the test. Corrosion resistant powder coated epoxy paint. 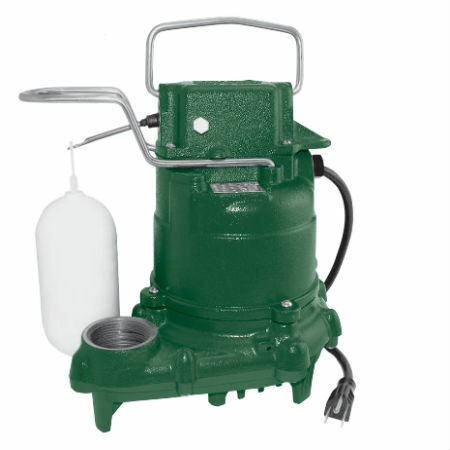 This pump does not have sheet metal parts to rust or corrode and no screens to clog. Zoeller® offers a 3 year warranty and as they say, “Your peace of mind is our top priority”. Floods don’t only happen in the spring, they can happen anytime, so make sure you and your home are prepared. To learn more, call Ace Hi Plumbing, Heating & Air at 970-667-0300 today.